At the end of 1902, Minerva presented in London the new program for 1903. A new engine of 239 cc (66 x 70) produced 2 hp thanks to the two mechanically operated valves. 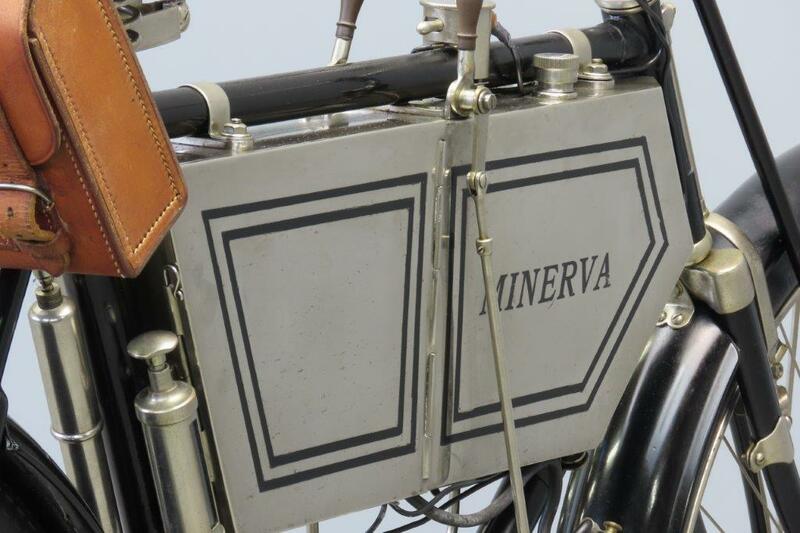 Minerva was one of the first to build engines with both valves mechanically operated. Due to the better filling of the gasses and hence the lower engine temperatures, the cooling ribs at the base of the cylinder were deleted. 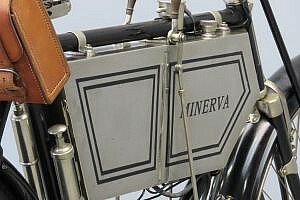 A second new feature for all Minerva models was the spray carburettor. 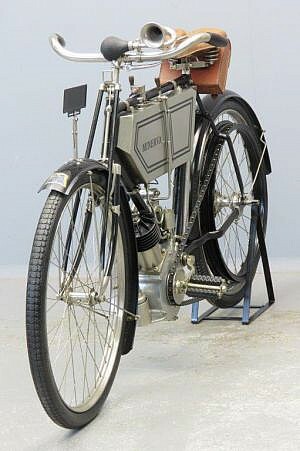 The motorcycles could be ordered with the Phénix carburettor or the usual surface carburettor. 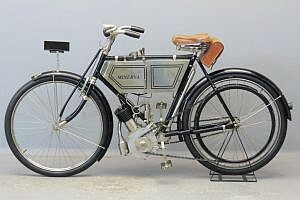 The production program for 1903 comprised a 239 cc (66 x 70) 2 hp clip-on with both valves mechanically operated, a 331 cc (75 x 75) 2 1/2 hp clip-on still with the atmospheric inlet valve and a 232 cc (65 x 70) 1¾ hp single in frame with the brand name “Romania”. 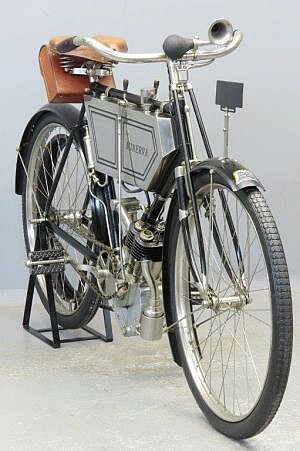 Both the 2 hp and the 2 1/2 hp models were still bolted to the front down pipe of the frame (clip-on). The inclined position of the engine on the front down pipe combined with the increasing power was the cause of many frame ruptures. 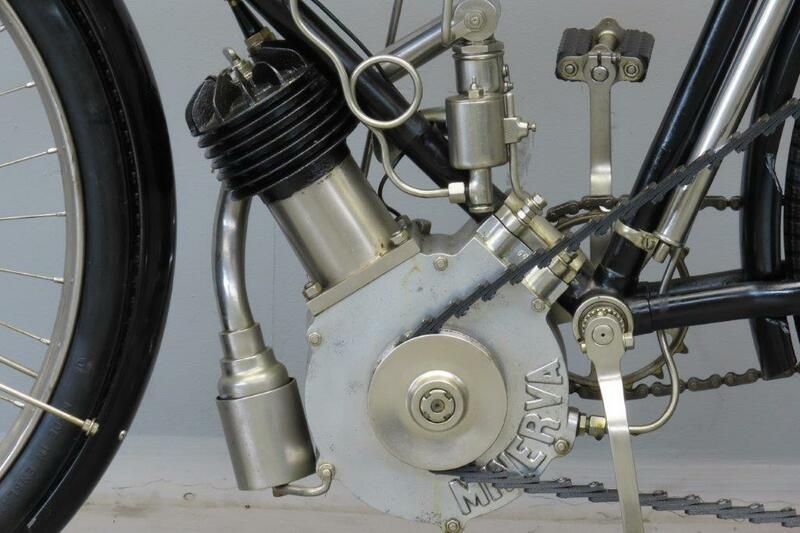 The engine of the Romania was mounted vertically in the frame, most probably in an attempt to overcome the above problem and in imitation of another successful machine: the Werner motocyclette. 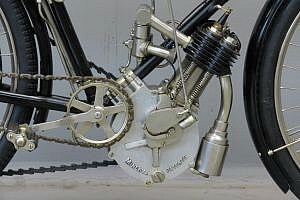 The Werner brothers were two Russian emigrées settled in Paris and patented already in 1901 for what was to prove the logical engine position: built into the bottom bracket location of a pedal bicycle frame. 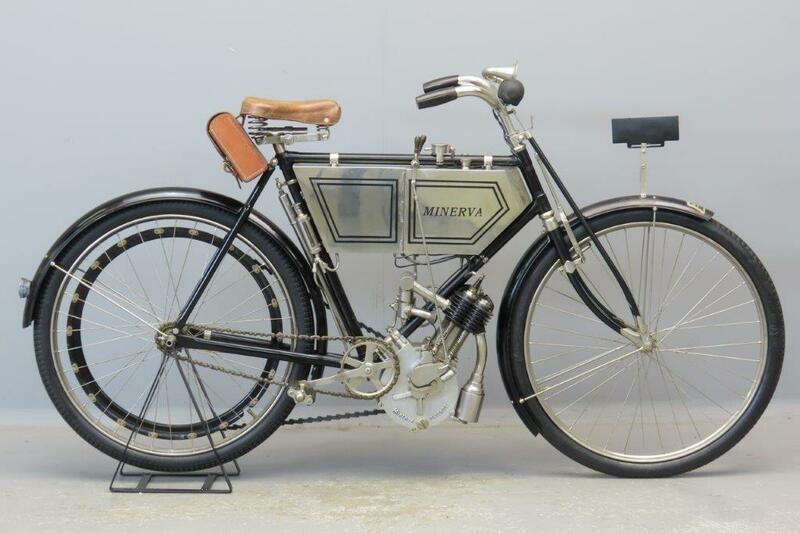 The new Minerva was featured in the October 22nd 1902 edition of Motor Cycling. 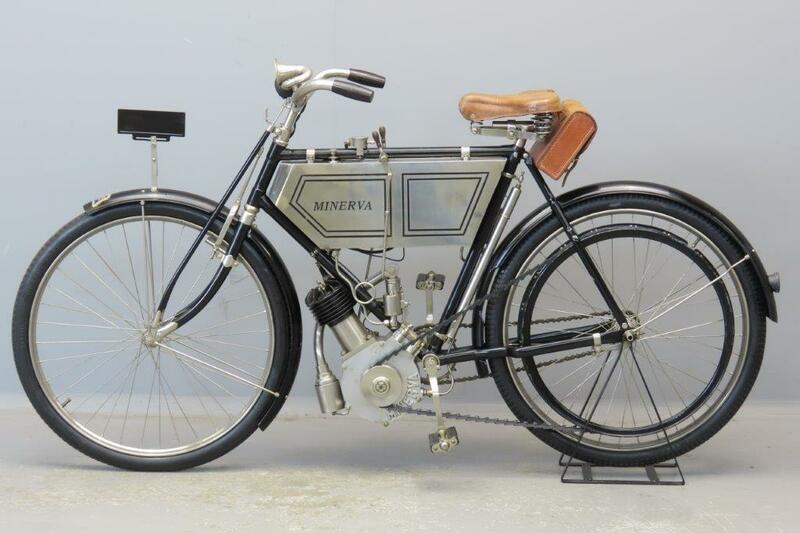 A quote: “the 1903 standard Minerva, by the way, will have a bore of 66 and a stroke of 70 millimetres, and with improvements introduced the makers claim 2 b.h.p. The one lever on the tank will work the sparking, lift the exhaust valve and cut off the electric current, but the switch on handle-bar will be retained for additional safety. This 2hp model was sold new in Britain and was first registered as CJ 28 to Charles Sidney Chubb on 1st January 1904. It was found by a Minerva Specialist and subsequently restored by him. The machine is fitted with bulb horn and leather tool bag and comes in perfect condition, having been stored since the late 80s.